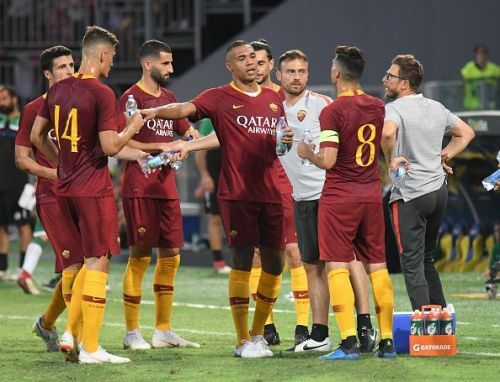 After a commanding 9-0 win against Seria D side Latina Calcio 1932 and a 1-1 draw against Seria B side, U.S Avellino last seasons Champions League semi-finalists AS Roma travels to the United States to compete in the 2018 International Champions Cup. The side based in the Italian capital of Rome kicks off their US fixtures against Premier League side Tottenham Hotspur on the 25th of July in the SDCCU Stadium San Diego. Roma had a rather good season last time as they finished third in the Seria A behind Juventus and Napoli while going out in the round of 16 against Torino in the Copa Italia. It was in the Champions League that the Rome based side excelled as they made to their first European semi-final since 1984 after a wonderful tie against Barcelona that saw them losing 3-0 in Camp Nou only to win the fixture on away goals after they made it 4-1 in Stadio Olimpico making it 4-4 before losing out to 6-7 on aggregate to Liverpool. 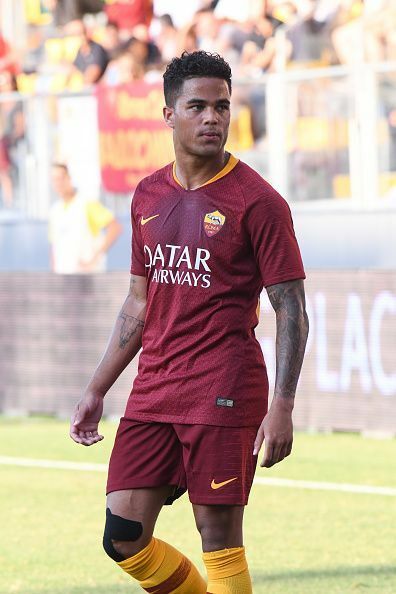 The new season has seen Eusebio Di Franco signing a host of young players with 21-year Ante Coric, 19-year old Justin Kluivert, 18-year old Nicolo Zaniolo, 18-year old William Bianda and 21-year old Daniel Fuzato joining the squad while key players of the past few seasons like Radja Nainggolan and Alisson Becker along with the second keeper Lukas Skorupski, Marco Tumminello and Arturo Calabresi have left the club. AS Roma will start off their International Champions Cup fixtures in SDCCU Stadium in San Diego against Premier League side Tottenham Hotspur on the 25th of July before moving on to AT&T Stadium in Arlington to face off against Barcelona on the 31st of July, in a rematch of last season's epic quarterfinals, and finally ending their campaign on the 7th of August against record 13-time Champions League winners and defending champions Real Madrid at the MetLife Stadium in East Rutherford. Our squad is set for this summer's tour of the United States!